Fishing enthusiasts, listen up – you can catch some impressive game and show it off by booking fishing charters incentral and north Queensland.The island waters offer excellent fishing opportunities, from reef fishing to sport fishing. Target mackerel tuna, nannygais, sailfish, coral trout and bluefin, among several others! Whether you are an expert or a beginner, the folks at fishing charters will give you pointers to maximise your chances of nabbing some excellent game. 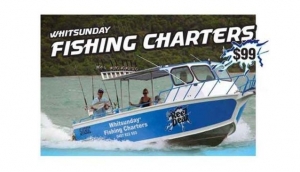 Check out the list of central and north Queensland fishing charters on our pages.